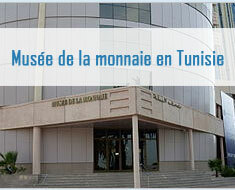 The compilation of banking regulation gathers all texts related to money and credit, notably, the organic law of the Central Bank of Tunisia and the law related to the lending institutions as well as circulars of the Central Bank of Tunisia in this respect (bank conditions, monetary policy, prudential norms, accounting regulation, risk base, clearing and centralising, management of indicators of payment ). Last updating : January 2019. Number of pages : 604. The compilation related to exchange regulation gathers the basic and the main texts with respect to exchange and foreign trade. Building transparency and credibility of the Central Bank. * Studies are available in french version. 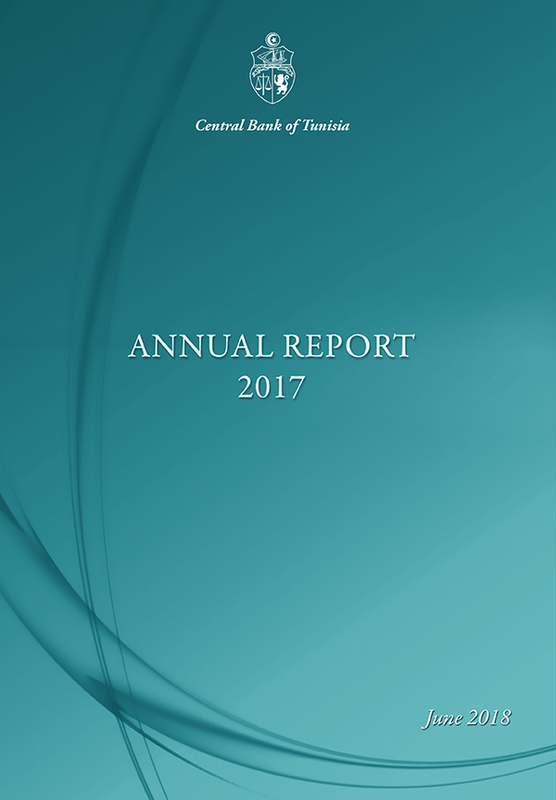 The report includes an analysis of the main economic, financial, and monetary trends both at the international and the national levels and a presentation of activities of the Central Bank of Tunisia and its financial statements relative to the financial year. Language : Arabic,French and English. All the French editions are available. Provides economic,financial and monetary statistics as well as the methodology followed in their working-out.It is completed by a monthly supplement of the main external payments and financial indicators. All the French editions are available . The English edition has been available since June 2003, when it was published for the first time. The publication of the second Annual Report of the Banking Supervision comes in the framework of a new tradition of disclosure and transparency based on the rules of good governance and international standards in the area of internal control. 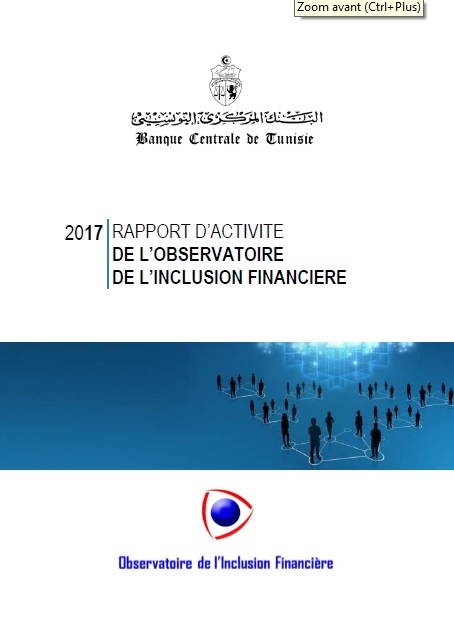 The Activity Report of the Financial Inclusion Watch (OIF) presents the works conducted by this structure in the framework of the missions assigned to it by law n°2016-35 of 25 April 2016 on the statutes of BCT. This document which deals with OSB activity over 2017 is the fourth report of this structure. 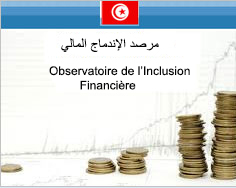 The brochure of Tunisia's External Debt presents a detailed analysis of the country's outstanding debt trend and structure and a brief outlook on international environment. Number of pages : 100. 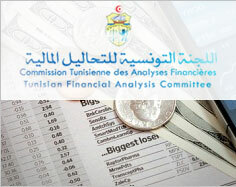 The brochure of the balance of payments presents the trend and structure of Tunisia's economic and financial relations with abroad as well as the regulating measures undertaken during the considered year in external payments. The economic situation periodical analyses briefly the major events of the national and international climate.It presents also the main economic,monetary and financial measures undertaken during to the considered period. This bulletin provides the main financial indicators. This data sheet provides the main economic indicators. 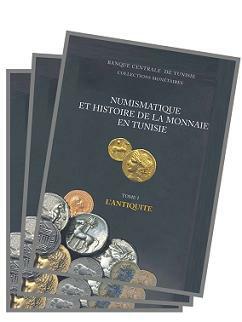 "Numismatics and history of the money in Tunisia" is a book that provides an overall view of history of the money in Tunisia, placing it more generally in its global historical context.